In an announcement last week, the Secretary of State for Homes Communities and Local Government, James Brokenshire, reversed the long-standing policy to give reasons on whether or not to call in major development proposals for his own determination. No reasons will now be given either for calling in or not calling-in planning applications. See the full text of Mr Brokenshire’s statement here. We successfully argued that under existing policy ministers are obliged to give reasons when they decline to call in planning applications. This policy was overlooked by civil servants ‘in ignorance of the 2001 policy promise’ (as pointed out by the Court of Appeal) and ministers since 2014 without explanation. 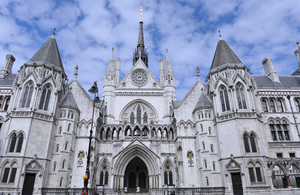 The result was that Lord Justice Singh, Lord Justice Coulson and Lord Justice MacFarlane ruled that the Secretary of State must follow his own published advice and give reasons for his decisions. Six months on, this policy has now been reversed by Brokenshire’s announcement. In his announcement, Mr Brokenshire uses fashionable parlance in claiming that decisions are about process not about the merits of the case. In fact they are about matters of substance – issues of national importance, objections by substantial parties and complex issues which need to be aired and debated in an open forum. The government is concerned that giving reasons on call in involves the minister in expressing a view on the merits of the scheme. It does not. The minister merely has to say how the proposal measures up to the call-in criteria and whether he considers that he should decide the application. SAVE also considers this to be in complete contrast to the way local authorities are increasingly required to give reasons for both the granting and refusal of planning permission (most recently in the recent Supreme Court case brought by CPRE Kent in 2017). Public inquiries can be vital when planning proposals are large-scale, controversial and raise complicated issues which cannot be properly considered, examined, tested and properly weighed. Frequently this type of application is just one item on the planning agenda of a local authority planning committee and objectors may not be allowed to speak for more than two or three minutes. Over 35 years SAVE has mounted a series of legal challenges on public inquiries and draws attention to the judgement of Mr Justice Webster in the first of these cases in 1983 – where the Minister had declined to hold a public inquiry into highly controversial proposals to build a trunk road through Highclere Park (now better known for its starring role in Downton Abbey). In his judgement Mr Justice Webster stated: ‘A properly directed minister could not have been satisfied that a public inquiry was unnecessary…where two substantial groups with conflicting views were involved’….